If you are the kind of a person who likes beauty when it comes to interior design, then Petcarl-Décor has contemporary range of non-woven wallpapers for you that will give your house a new look. Cream non-woven wallpaper has an ability to add warmth, happiness and cheer to your home. Available in a wide range of styles and patterns, you will find the perfect design for your house or office. The cream white wallpaper always adds a color of beauty in the house. Most non-woven wallpapers can retain their original beauty and can stay for a period of 10-15 years without peeling off. Our unique wallpapers are easy to clean and maintain. 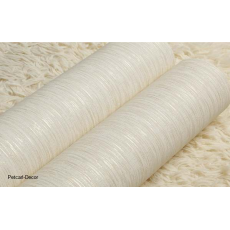 All you need to do is to visit Petcarl-Décor.co.ke to buy superior and unique non-woven wallpapers that will definitely give your house a new look. We are proud when every customer is satisfied and as such you can try us!